Home News trending! Gionee expected to launch a 7,000mAh battery equipped smartphone next year!!!! Gionee expected to launch a 7,000mAh battery equipped smartphone next year!!!! 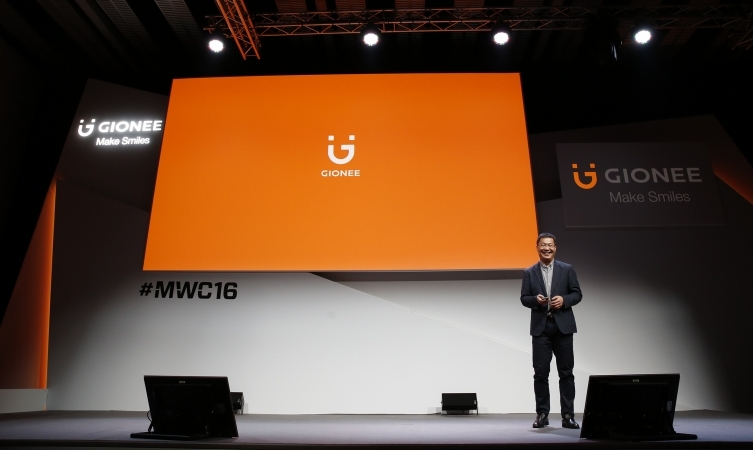 Chinese smartphone vendor Gionee offers high-capacity battery smartphones under its Marathon or ‘M’ series of smartphones. A new product is expected to join the series as rumours say that the company is ready to launch a new smartphone with a massive 7,000mAh battery. The smartphone, touted as the M2017, recently cleared TENAA which revealed quite a few details about the smartphone. Apart from the huge battery, the smartphone will feature an octa-core 1.96GHz processor paired with 6GB RAM and 128GB storage. The smartphone measures 155.2×77.6×10.65mm and thanks to the big battery it could weigh 230g. The display will be a 5.7-inch QHD panel, while a dual-camera setup (12MP and 13MP sensors) as well as an 8MP front shooter round up the camera department. The M2017 is expected to run on Android 6.0 Marshmallow along with the company’s Amigo OS UI skin. A recent teaser for the smartphone was also seen which shows Chinese actress-director couple Xu Fan and Feng Xiaogang holding a device similar to what was seen on the TENAA listing. While there is no price info about the upcoming device, Gionee could announce it in January 2017. With growing smartphone needs and more power consuming hardware rolling out, shoving in a large battery is probably not the right solution. We still need a breakthrough in battery technology rather than chunky batteries. Chinese smartphone vendor Gionee offers high-capacity battery smartphones under its Marathon or ‘M’ series of smartphones. A new product is expected to join the series as rumours say that the company is ready to launch a new smartphone with a massive 7,000mAh battery. The smartphone, touted as the M2017, recently cleared TENAA which revealed quite a few details about the smartphone. Apart from the huge battery, the smartphone will feature an octa-core 1.96GHz processor paired with 6GB RAM and 128GB storage. The smartphone measures 155.2×77.6×10.65mm and thanks to the big battery it could weigh 230g. The display will be a 5.7-inch QHD panel, while a dual-camera setup (12MP and 13MP sensors) as well as an 8MP front shooter round up the camera department. The M2017 is expected to run on Android 6.0 Marshmallow along with the company’s Amigo OS UI skin. A recent teaser for the smartphone was also seen which shows Chinese actress-director couple Xu Fan and Feng Xiaogang holding a device similar to what was seen on the TENAA listing. While there is no price info about the upcoming device, Gionee could announce it in January 2017. With growing smartphone needs and more power consuming hardware rolling out, shoving in a large battery is probably not the right solution. We still need a breakthrough in battery technology rather than chunky batteries.